Watermelon is an Indica strain. 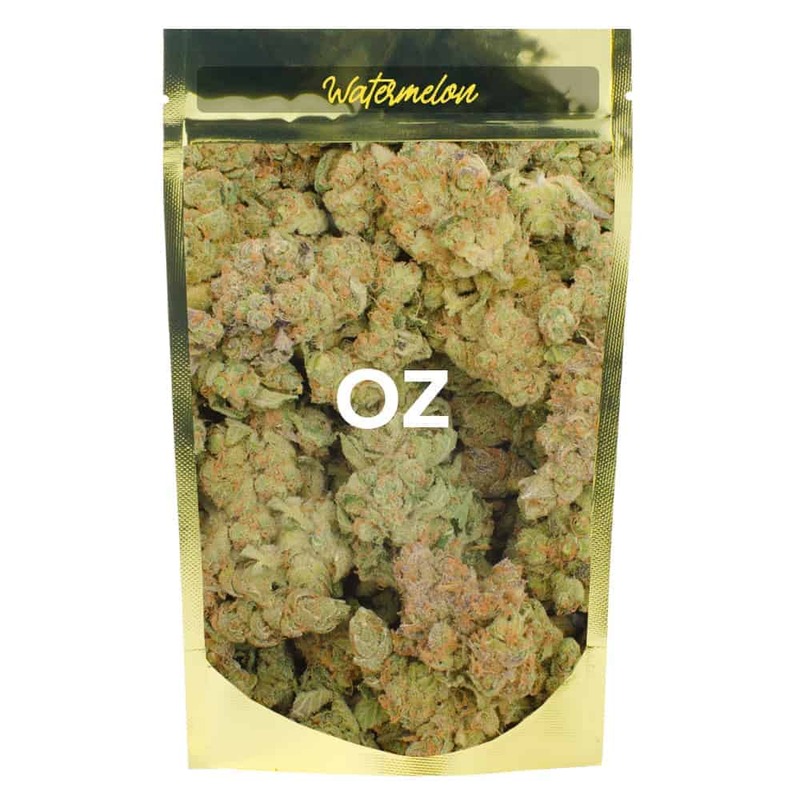 Its large, dense buds are valued for their high THC content and relaxing effects, useful as a sleeping aid or appetite stimulant. As the name suggests, this strain has a distinct fruity watermelon flavor profile, reminiscent of grape with hashy undertones. 4 reviews for "Watermelon – Indica 1oz"
Love the taste and buzz off this strain. Would order again!! Thanks GoldBuds!! WORTH THE PRICE. Great relaxing high. FROSTY BUDS. Smells Just like a Sweet Watermelon(Seriously).